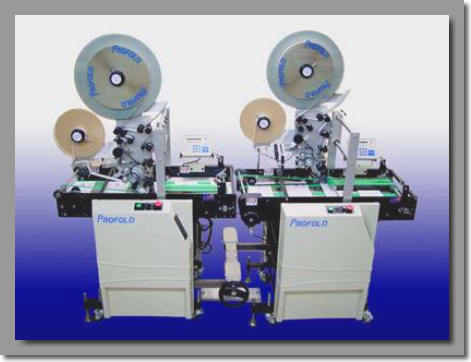 Profold’s Head-To-Foot Tabber Systems are designed to provide in-line production for tabbing the head and foot of mail products in a single pass. The system can be operated as a system or the Master unit can be removed and used as a stand-alone unit. The integrated docking station permits easy setup for various size products and will provide improved production time, reduce operator interfacing and a good ROI on your equipment investment. Tabbers accurately place tabs, stamps, labels, and Post-it notes. Don’t settle for an unproven solution to your Head & Foot Tabbing applications when you can go with the proven industry leader in Tabbing Technology - Profold, Inc.